Mark's Tickets is the best place to find tickets for San Francisco Giants fans. Just check this page for any new events or schedule updates throughout the year. We sell tickets to every San Francisco Giants game around the world. We know how passionate San Francisco Giants fans can be about baseball, so we make sure to have hundreds of tickets for every game available right up until it starts. For those looking for cheap San Francisco Giants tickets, we offer tickets starting at very low prices (many times below face value). 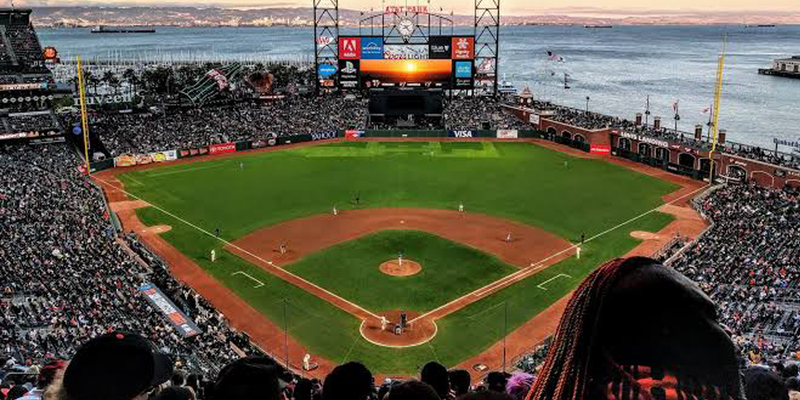 We offer tickets in most sections of every venue that you can see San Francisco Giants. Simply choose the city or venue that you are interested in below, and you will be able to see all of the available seats. Do not forget that Marks Tickets also specializes in sold out San Francisco Giants tickets. No longer will sold out shows prevent you from seeing San Francisco Giants. The San Francisco Giants are a professional baseball team that plays in the MLB. The Giants play their home games at AT&T Park in San Francisco, California. With 162 games per year, and 81 being home games, The San Francisco Giants are a Major League Baseball (MLB) team based in San Francisco, California, playing in the National League West Division. Originally known as the New York Giants, the team moved to San Francisco in 1958. They are the reigning World Series champion. As one of the longest-established baseball teams, they have won the most games of any team in the history of American baseball, and any North American professional sports team. They have won 22 National League pennants and appeared in 19 World Series competitions – both records in the National League. The Giants' 7 World Series Championships rank second in the National League (the St. Louis Cardinals have won 11). The Giants have played in the World Series a National League record 19 times, but boycotted the event in 1904. With their history, the Giants have the most Hall of Fame players in all of professional baseball. The Giants' rivalry with the Dodgers is one of the longest standing and biggest rivalries in American baseball.